The Graphic is a British weekly newspaper created on 4 december 1869 by William Luson Thomas. He had been employed as draughtsman and engraver by The Illustrated London News during the 1850s and 1860s, but he decided to create his own paper and became quickly the main competitor of his old employer. 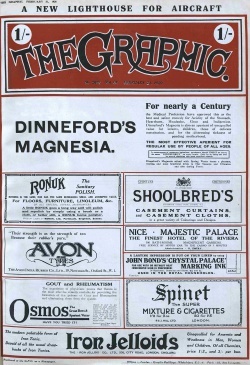 The Graphic ceased publication in 1932. In 1920 and 1927, the newspaper published 2 articles written by Arthur Conan Doyle. This page was last edited on 17 May 2018, at 19:38.